Today I have two projects on the Imaginisce blog as part of their month long Tool Extravaganza. Both projects are made with one of my most favorite of the Imaginisce tools, the i-top punches. Although the punches were really made to punch paper to use with the i-top brads, I like using them just as they are. For this sweet little card. 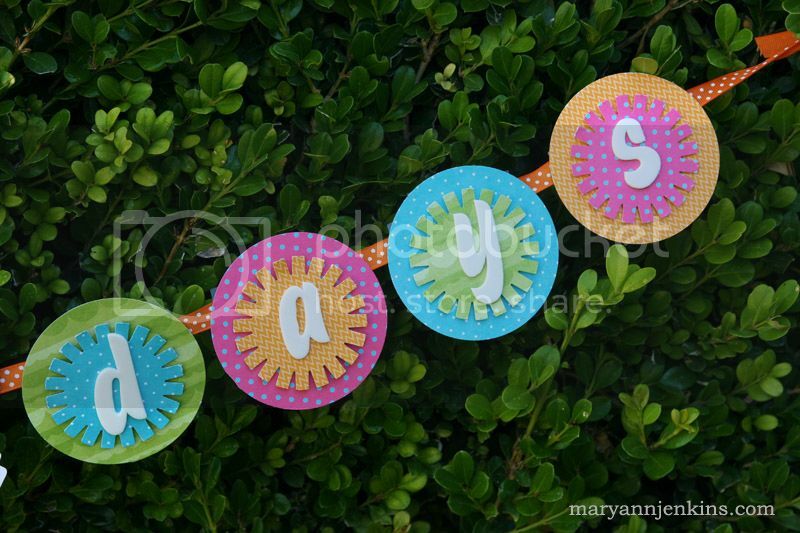 I used the smallest i-top punch, folded each shape in half and strung on twine to make a mini banner. 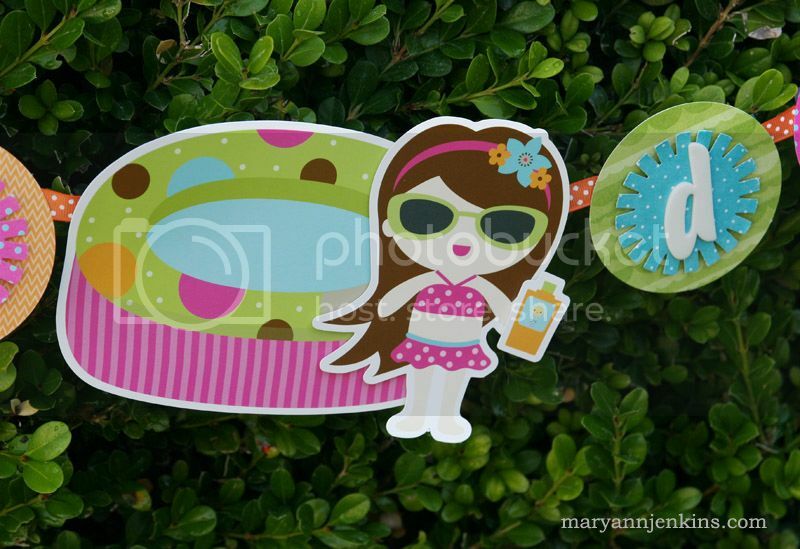 I also made this fun banner to welcome Summer using the extra large punch. School isn't out for us for another week, but I already have this hanging as we are counting down the days! Be sure to stop by the Imaginisce blog every day this month for some great ideas, and enter to win an Imaginisce Tool Package!! As always, thanks for stopping by my little place on the world wide web! Beautiful pieces! What a great way to use your tool, so creative! Cute projects! I LOVE banners! So colorful and fun projects!!! 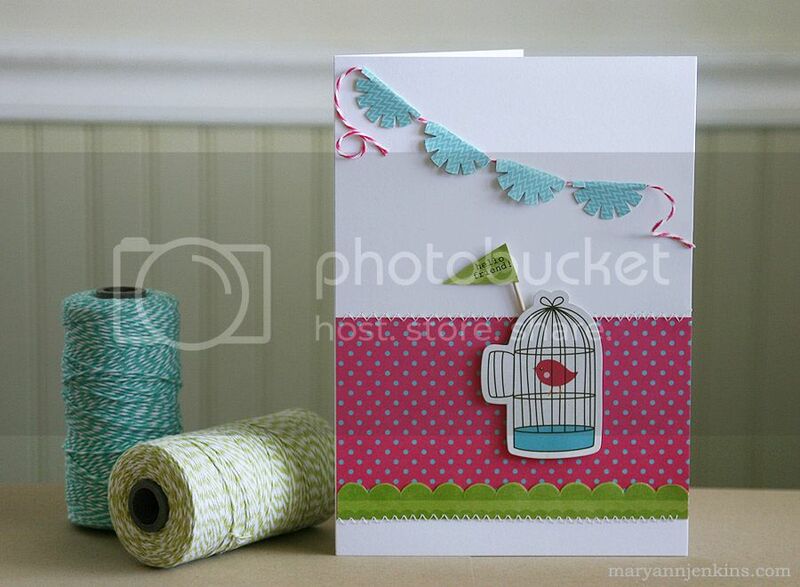 Love your sweet projects :) Great colors and inspiration. That banner is completely adorable! Wow! Love the bird. So sweet. And that banner. OMGosh. Perfect for summer. It really pops!